Statistically, January is the most common month in which people file for divorce. Whether this has to do with freezing temperatures, frozen emotions, or New Year’s resolutions remains to be seen, there are a number of financial considerations that you should address immediately if you are a woman over the age of 50 who is planning to get divorced. Gray Divorce is the term used to identify couples who divorce in middle age or beyond. According to their paper, “Gray Divorce: A Growing Risk Regardless of Class or Education”, Bowling Green State University researchers studies indicate that while the overall number of divorces in the United States has declined over the last 20 years, the number of divorces has almost doubled for married couples aged 50 and over. Divorce can be a traumatic experience, but the financial implications for women – particularly older women – can be devastating. Years out of the workforce, less time to save and prepare for retirement, steep learning curves when it comes to financial planning, are all issues that can dramatically impact a woman’s ability to survive and support herself later in life. A report produced by the National Center for Family & Marriage Research shows that 27% of women who divorce after the age of 50 live in poverty, compared to 11% of men who divorce at mid-life. While the numbers are grim, there are steps that can be taken to improve the chances of avoiding financial ruin. Establish credit and bank accounts in your own name if you don’t already have them. Take the time to understand your benefits under Social Security and discuss how projected benefits can be protected or preserved with your legal representative. Review insurance options and consider disability, casualty, and long-term care policies. Consider an insurance policy requirement to protect alimony payments. Review all financial documents that have named beneficiaries and make any necessary adjustments. Make a will. If you already have a will in place, review and update it accordingly. Review your lifestyle and make adjustments early on to preserve capital. Consider hiring a financial planner or manager who will help you with budgeting and expense planning. One of the most important considerations for women who are divorcing is to retain their own legal representation. Having someone who can advocate for you in a practical rather than emotional manner can make an enormous difference in your financial future. 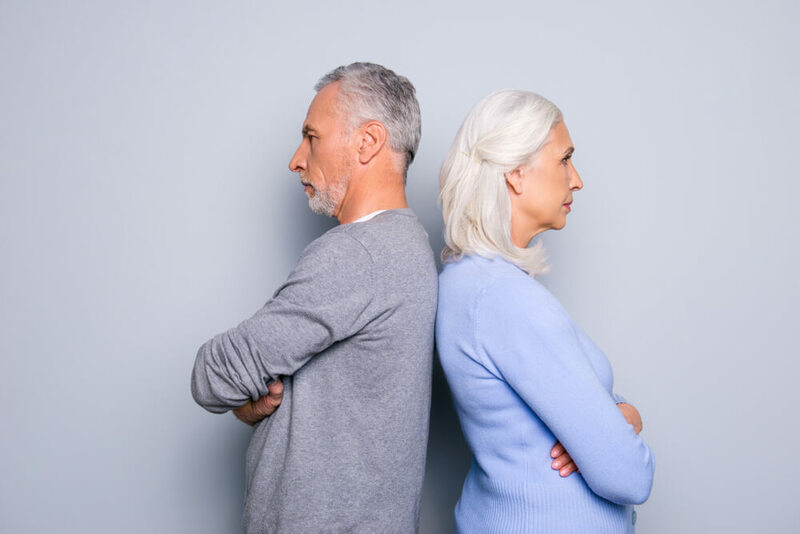 For some couples, a divorce is the best long-term option, but even in these cases, it’s important to take action when it comes to protecting your financial future. If you are concerned about your financial future and the impact that divorce may have, call Mooney Lyons today at 847-382-2600 and speak with one of our support professionals. We understand that financial planning for women is a personal and intimate experience. We are here to help you navigate the uncertain terrain ahead, and implement and manage a financial plan that will protect you today and tomorrow. Content is this material is for general information only and intended to provide specific advice or recommendations for any individual. Mooney Lyons and LPL Financial do not provide legal advice or services.